Before coming to this country I never heard of Shrove Tuesday but like any tradition that has anything remotely to do with food, I embraced it and started flipping pancakes with a variety of toppings – as much As I tried, the sugar and lemon part of the tradition does not excite my taste buds at all. Pancakes for me are weekend food, when you have time in the morning to indulge and surprise your other half with breakfast in bed, the kind that gives you energy for the rest of the day. 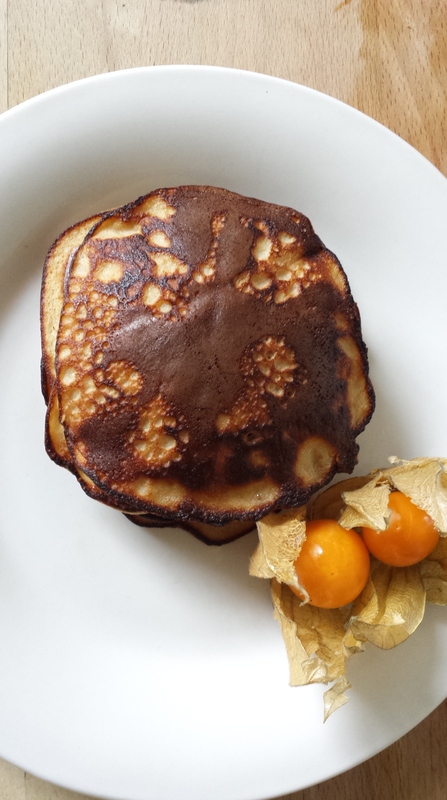 When I started cooking the SCD way I naturally tried to find good replacements for my usual pancake recipe. After exploring some recipes I found online and in cookbooks, trying all sorts of ingredients such as ground almonds, coconut flower and cashew nuts, I finally landed on a recipe that really ticked all the pancake boxes: quick & easy to make, good flavour & texture and keeps you full for long. The recipe is child friendly. 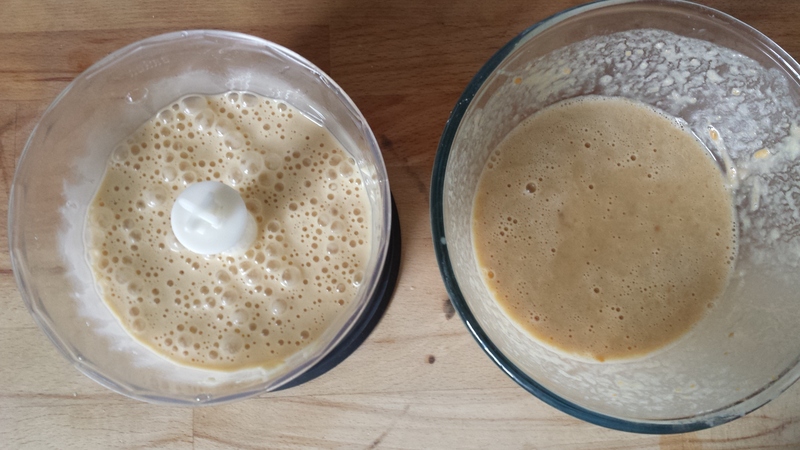 I usually use a small food processor to make the batter, but if kids are making it and they are not old enough to use sharp electrical appliances, they should use the manual option of the process. The quantities make apron 10 small pancakes and 4-5 large ones. I believe the first batch of pancakes is always a ‘sacrifice to the pancakes gods’ and usually rippes, scrunches or burns, so don’t panic if the first few pancake aren’t perfect, just hide them at the bottom of the pile. 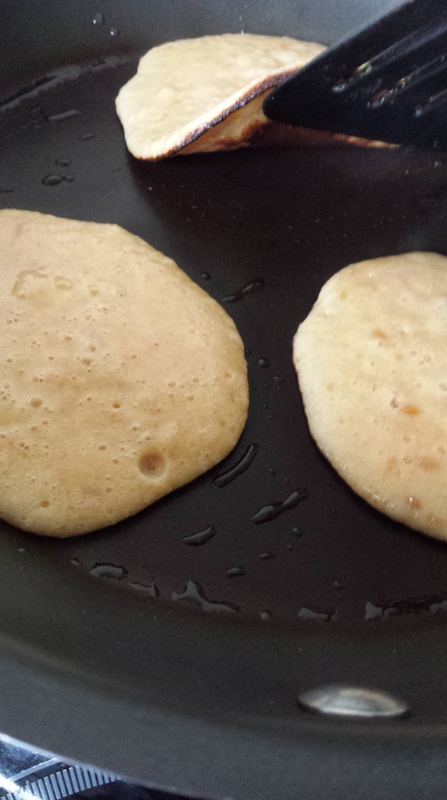 I like using coconut oil for frying the pancakes. It burns at high temperature which makes it a bit healthier than other fats or oils, but the best bit about it that it fills the kitchen with scents that send me back to the streets of Bangkok. 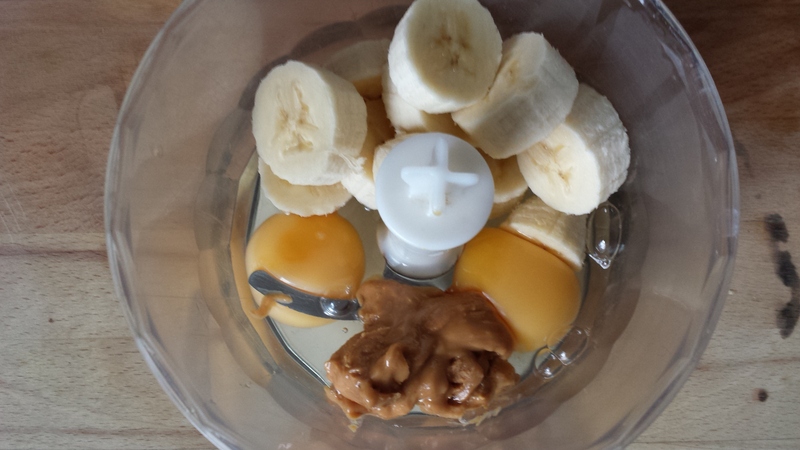 If you have one, chop the banana and it with the eggs and nut butter in a small food processor or blender and blitz to a smooth batter. 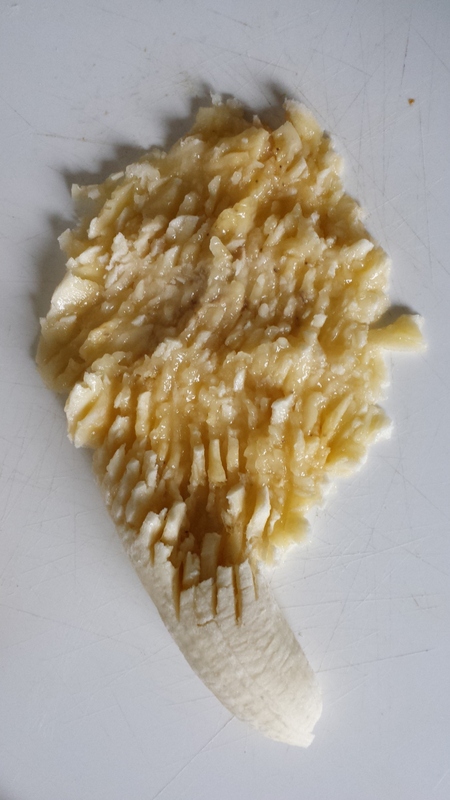 If you are doing it manually, use a fork to mash the banana to a puree on a plate or cutting board, then place the banana in a bowl with the eggs and nut butter, whisk to a smooth batter. Warm the oil in a frying pan on the hob to a high heat. Lower the heat to medium and using a small measuring cup to dollop the batter into the hot pan. 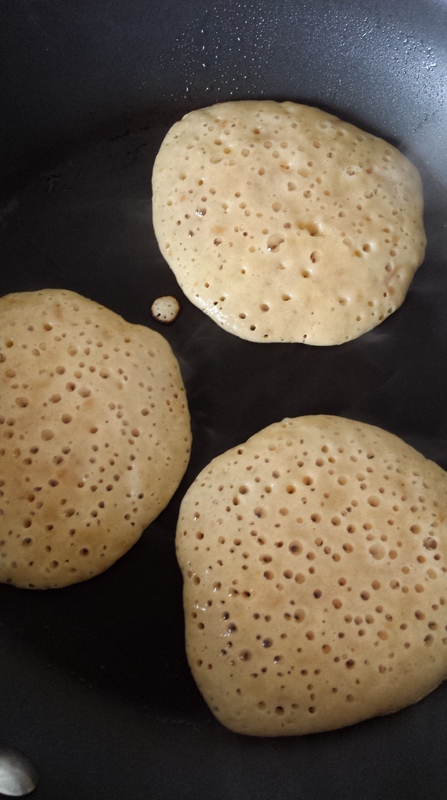 When small bubbles appear on the pancakes, it’s time to flip them and fry for another minute on the other side (just like with wheat based pancakes). Continu making pancakes until the batter is all used up, then serve with fresh fruit and drizzle honey on top.